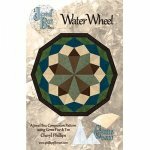 Finish Size: 45" x 47"
A ten sided shape, new to the quilting world, can be easily accomplished with the NEW Jewel Box Tools. 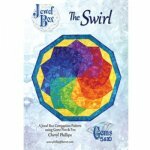 The Swirl quilt is made with an array of rainbow fabrics. 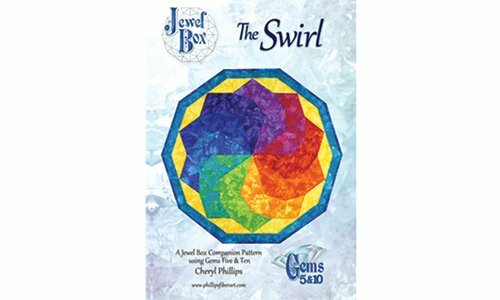 Instructions are in booklet form with full color graphics. 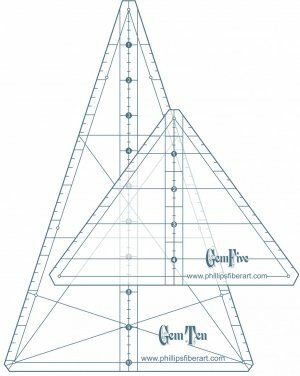 So simple to follow--You'll be amazed. Finished Size is 45" x 47". 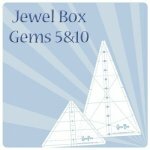 Gem 10 and Gem 5 are required. 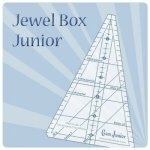 For the Jewel Box Gem conversion chart to use with the Jewel Box Junior in three smaller sizes. 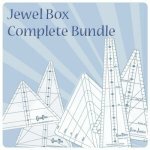 For Jewel Box Junior Tools Click here. 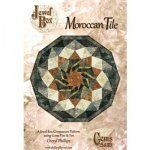 For Jewel Box videos Click here.